You may haven noticed that most of Taylor Joelle’s clothing items are in solid colors. Well, that is about to change. We have teamed up with Rachel Cave, London designer, who will do some prints for us. 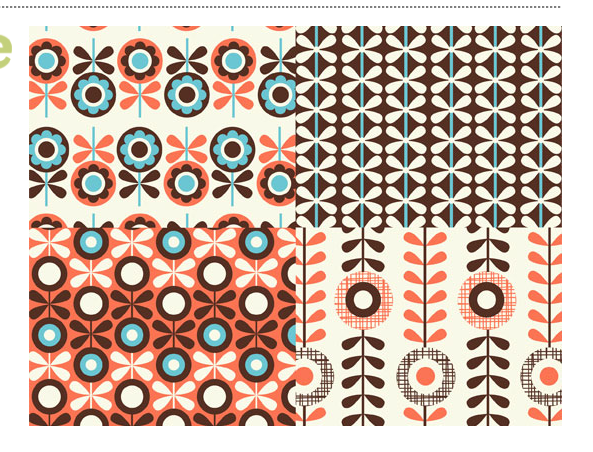 We are working on printing the fabric for this adorable peach/brown/blue print. Can’t wait to create some fun retro style dresses out of it (with some matching ruffle leggings of course). Ruffle Dress in the Works!